It’s so cold here in Wellington. As the rain starts pouring and the getters overflow. I sit on my comfortable little corner in TV room while watching TV programme and start to write my blog post today. Are you a rugby or football fan? If you are please Thumbs Up for this tutorial. 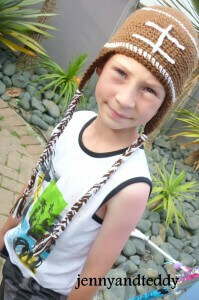 This easy to make crochet hat will keep your little guy warm and cozy in this winter. They can be made into beanie or earflap. Special BIG thanks to Jennifer for this super adorable photo please visit her at Jennifer jayne photographer. Are you ready to make one? Come along and make them together with me. 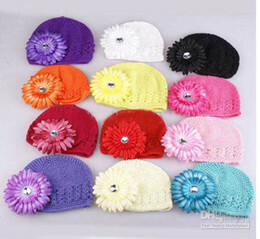 You can make the hat bigger by crochet increase round until you got the size that you desired. Thanks again to my friends and family for this cute photo. In this pattern,you will work in the round continuously. You may use a removable stitch marker or a short piece of yarn of contrasting colour to mark the beginning of each round. At the end of each round, you will not join, but begin the next round in the next stitch. Sc in each st around (50 sts). brown. Round22-23.Pick up white colour, Sc in each st around (50 sts). Finish off. with sl st and work one round of sc around the edge, going around the earflaps. With MC, loop yarn into approximately 18-20 inch long. 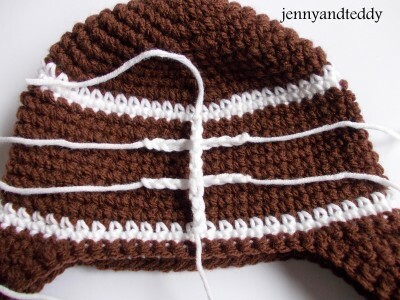 Using a crochet hook, pull the folded side of the yarn through the centre stitch at the bottom of the earflap, making a loop. Pull the free ends of the yarn through this loop and pull tight.Divide yarn in to three parts, plaint or braid to the end, and tie a knot to finish up. One tie is made. Repeat on the other earflap to make second tie. Chain 9 and finish off. 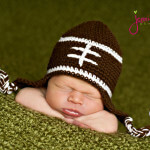 Attach these line across the football hat by sewing. Cute hat, Jane!! 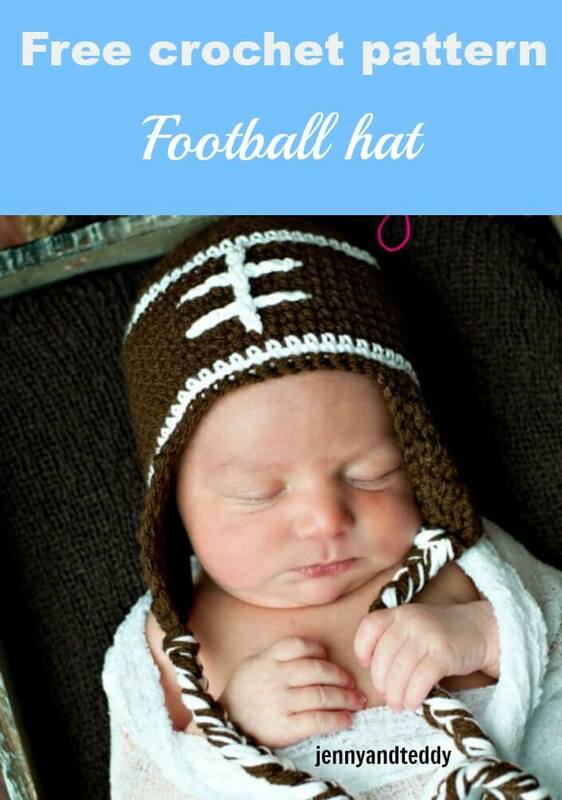 I will be making this for our first grandson–daddy will love it!! Thanks for sharing your creativity!! Thank you Brenda! Great to hear you enjoy my blog, it’s my passion to shared. Thank you for THE Nice hat design! It’s mean repeat from this *……..to……*. Totally adorable! Thanks for sharing it! What letter size is the hook? I started to use a 3.50 mm hook which is size E.
Love it. 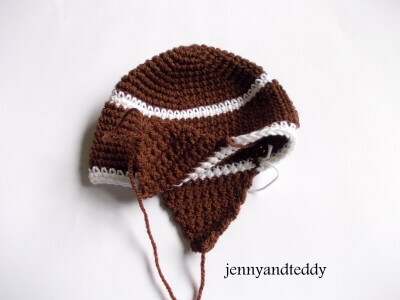 Really cute hat pattern. 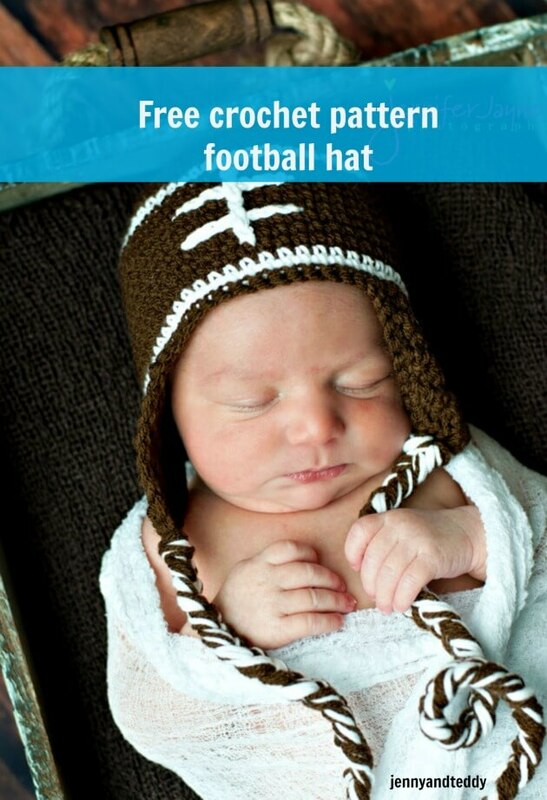 you are welcome to sell football hat that you make. thank you for like my design. Great! 🙂 You’re welcome 🙂 How do you finish off crocheting in the round? Slip stitch to the next stitch? yes, that right jjust simply slip stitch to the next stitch. how do we find the front of the hat? just pick a side and call that side the front? yes, you right just pick a side. How many loops of yarn should you pull through to make the loops? Your ties look rather thick (which I like) and I noticed you used both MC and the white. I want to make this for my son to come home from the hospital with; he is due in 4 weeks!!! Congrats! for welcome new baby. Great to hear that you have a question.Yes, I did mixed 2 colour with MC and CC. approximatly MC 10 loop and CC 10 Loop it depend how thin you want. 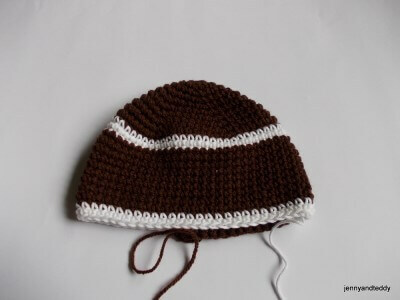 Hope this help..
size ie 0-3 months but you can make the hat bigger size by keep crochet increase. And keep going until you got it bigger then you start to sc to make it longer. It’s wo’not mess up the white. Which size you are going to make I can help. Hi Ashley, so you can continue crocheting. Do you know of a way to estimate final size by measuring your increase rounds? I have began this hat 4 times (about to be 5) and I just can’t get the sizing correct. I tend to crochet a little tight anyway. It would be SO helpful to be able to measure the width of my increases before beginning the single stitches!! Sorry about that you have a difficulty to follow my pattern, normally How I estimate the size by measuring overall of the hat width and high. I didnot measuring the increasing round. 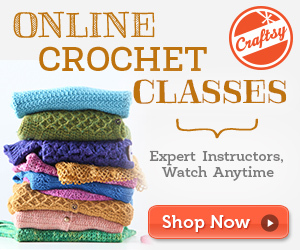 My suggest maybe you could crochet not to tight. if you follow the pattern the guage will be 4 sc x 4 row= 1 inch, you could try this 3sc x 3 row= 1 inch. what size you after? I will do my best to help. Can you show me a picture of the inside of your hat? I have made this hat for my son but I’m not sure I attach the chains at the end correctly. Thanks so much! The white rows don’t match up exactly, am I doing something wrong or is that because it is in the round and spirals instead if being a complete row? It notthing wrong with your one, my is the same , that fine. Sorry I gave the hat away so I did have them to took the photo inside of the hat for you. About how you attachthe chain I think it would be fine. 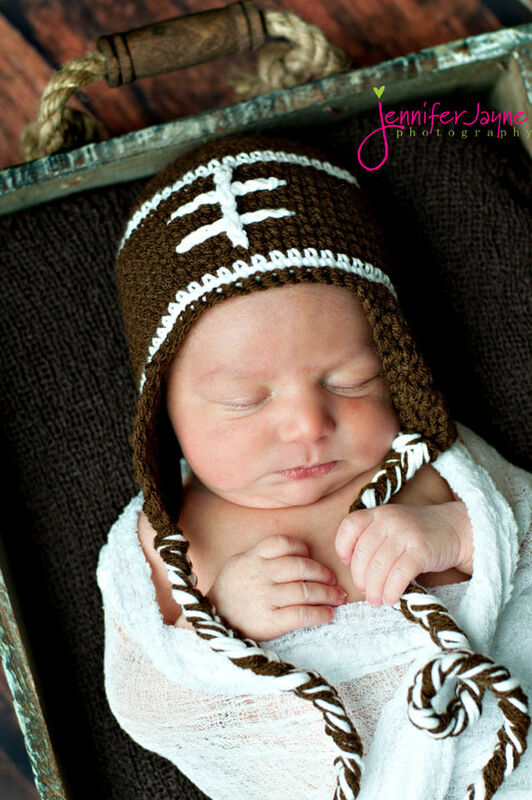 I can’t wait to make this for my brand new great nephew! Hi Sarah, thanks for stopping by, I am sure it will look lovely on your nephew. How do you sew the football stitches in? using yarn needle and sewing. I just mixed two colour togther then plaint it. Hope this help. Love this – such a great, clean looking pattern. Are you in Iowa? I am and I recognize that photography studio! 😀 Thanks so much for linking up on Hookin on Hump Day! I live in Wellington New Zealand. love to link up with your party. Love the pattern. Just finished it for my grandson to be! Still not sure how to attach the long braids” to the cap. Ant further instructions would help. Thank you!!!! To make this a 3-6 month hat, how many rows do you think i’d need to increase? try this tutorial. Hope this help. thanks for stopping by for the earflap when start just mark the position that you want to make earflap mostly in the middle of the hat then start to crochet. yes they are in us crochet tern. I just made this for my soon to be born great nephew! It turned out so cute!! I added a Pom Pom to the top in my niece’s favorite football team’s colors and I made the braids the team colors as well. It is super cute!! Now I am making one for my older great nephew so her sons have matching hats. I want to make it an 18 months size how many rows of increasing will I need? I crochet very tightly so to match the gauge I had to go up a couple of hook sizes. Thank you!! I love the pattern! I am glad you like the pattern and they came out so cute to make it bigger to 18 month, I am not so sute but maybe increase till round 12 after that sc crochet to increase the length. We don’t have that brand of yarn in our local yarn store, so what would an equivalent be? 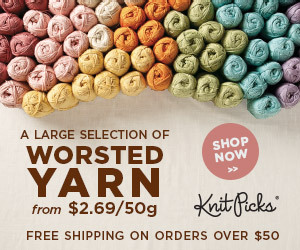 How do I know what type of yarn to buy? You can use any weight worst yarn 8 ply or 10 ply. Thanks Libby for great suggestion, I love that. I used the pattern to make the hats for my daughters best friends twin boys. They love them. I am so happy now to make it for my first grand baby. Thanks for the free pattern. You so sweet!!! Thanks so much Cathy.